Heading to the races is a time-honored tradition that has lasted centuries and continues to thrive in countries all over the world today. Whether we're celebrating regal events like the Royal Ascot or exciting sporting moments like the Melbourne Cup, racecourses are places where people of all backgrounds have congregated for hundreds of years to enjoy the festivity, pomp, and energy that racecourses provide. Given that the sport of horse racing has such a rich historical pedigree, there are a number of racecourses around the world that are not only unique spaces but also historical monuments in their own right. Here's our round-up of the top ten racecourses in the world today, where you can experience the sport at its very best. The palatial Ascot racecourse is home to one of the most prestigious events in the British calendar, the Royal Ascot, which has been going every year for a total of 307 years. 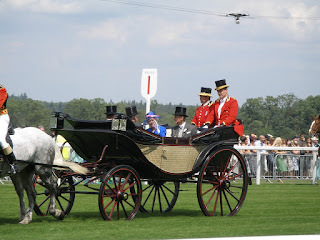 The event was launched during the reign of Queen Anne and since then the extended royal family, including Queen Elizabeth herself, congregate in the beautiful grounds of this stadium to watch the races amind flowing fountains of champagne and unbelievably high bets. The Churchill Downs is home to what is probably the most famous horse racing event on the planet, the Kentucky Derby. Named after the original owners of the site, the entrepreneurial brothers John and Henry Churchill, this gorgeous stadium has since been designated a National Historic Landmark by the United States government. While the grounds itself are nothing short of majestic, the building which houses them underwent a $100 million renovation ten years back, transforming into one of the most cutting-edge racecourses out there. Located in the suburbs of Melbourne, Flemington is also a recognized historical landmark, having hosted the most prestigious horse racing event in Australia since 1840. The main event is, of course, the Melbourne Cup, which sees millions and millions of dollars wagered every year on this single momentous day. The event takes place in November every year, with celebrities, royalty, and regular racegoers all keenly keeping track of the latest odds on sites like Oddschecker to try and make it their turn to win a million-dollar payoff. The event is quite fittingly known as "the race that stops the nation", as all eyes will be on Flemington come November. Definitely one of the more unique entries on this list, given the age and location of the racecourse. 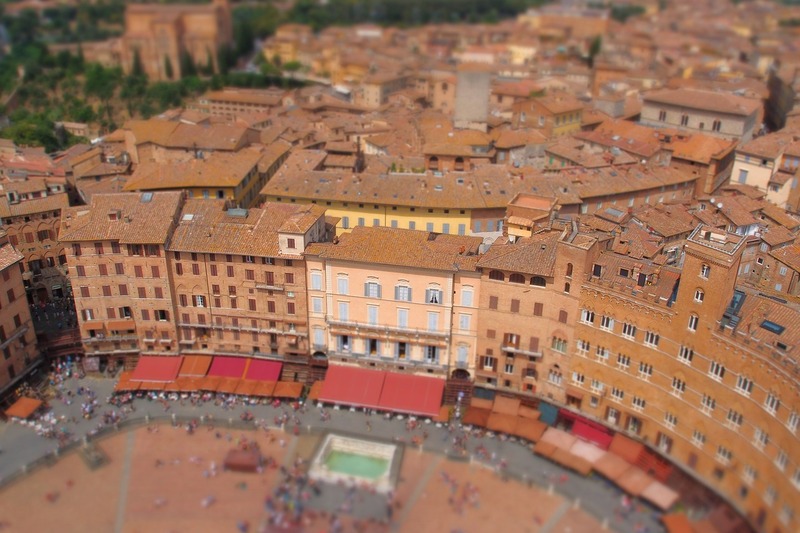 Set in the ancient heart of the gorgeous city of Siena, this track acts as one of the city's central squares for most of the year. 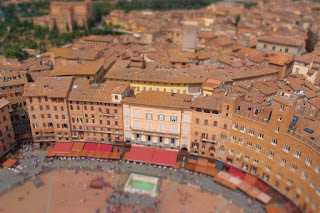 However, twice a year this oval-shaped piazza becomes the epicenter of the biggest sporting event in Italy, the Palio di Siena, where the best thoroughbreds in Europe flock to race it out among the throngs of screaming crowds. The race has been taking place here since at least the 14th century, and some would argue that the manic energy and indescribable buzz hasn't changed a bit since then. A day spent at Happy Valley is a racing experience like no other. Set in the heart of the megacity of Hong Kong, this open-air racecourse is surrounded on all sides by the dense apartment blocks and office buildings which characterize this iconic city. Happy Valley was first constructed back in 1845 to provide entertainment to the colonial British administrators who then ran the island of Hong Kong, and the old-world character remains to this day. Given the largely uninhabitable and hilly terrain of Hong Kong, this spot was one of the only viable places to build a racecourse. Since then, the city has sprung up around it, making for one of the most interesting backdrops to a horserace you'll ever see. Despite the name, a day out at the Greyville racecourse is always a colorful affair. Although home to some of the most prestigious racing events in South Africa, you can also expect to see plenty of hawkers selling delicious food on the grounds as well as some of the most affordable beer around. The site has existed in one form or another since 1843, and since then virtually every member of the British royal family has paid homage to this site by participating in race day festivities. The backdrop is also stunning, with views of the entire skyline of Durban visible from the grandstands. To make the most of these unique views, make sure to go there just as the sun begins to set and the light reflects off the colorful skyscrapers of downtown. Cheltenham is another prestigious center of British horseracing, a place where the elite of the country has congregated for the annual Cheltenham Festival for over two hundred years. Set within the heart of the Cotswolds, the gargantuan 68,000 seater racecourse hosts more Grade I horse races than anywhere else on Earth and gives out more prize money than any event bar the Kentucky Derby. If places like Cheltenham and Ascot represent the old world of horseracing, then the Meydan represents the new world. This towering, jaw-dropping structure was completed just a few years ago and exists in truly Dubai fashion. The ultra-modern venue is home to a 5-star luxury hotel, a marina, a nine-hole golf course and a conference center, all spread out over a whopping 7.5 million square meters, making it one of the largest racecourses in the world. The Tokyo racecourse opened in 1933, and the art-deco influences of the era are still clearly visible today. The space itself is awe-inspiring, with enough room to fit over 200,000 racing fans, often being packed to capacity on big race days such as those in the prestigious Asian Mile Challenge. The racecourse is also kitted out with sushi restaurants, saki bars, and ramen stands so you can get your Japanese cultural fix in one spot. Opened in 1857, the Longchamp racecourse in Paris probably wins the award for the most stunning racecourse on Earth, featuring perfectly-manicured grounds and some truly palatial interior design dating from the height of the Belle Epoque period. 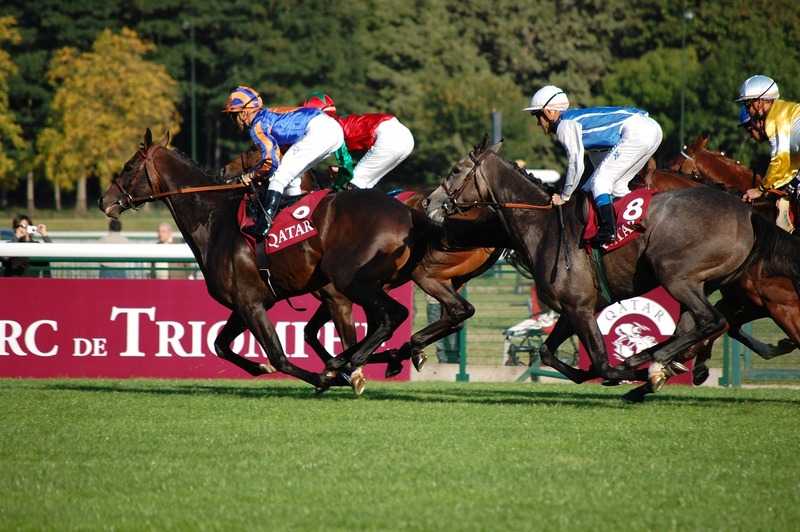 It is home to what is arguably the most prestigious horse racing event in Europe, the Prix de L'Arc de Triomphe, which sees the great and good from across the continent flocking to this space to taking part in the most high-stakes racing around. All racecourses have an innate attraction, given the festivity and fun they are associated with. Some, however, are better than others, and a trip to one of the ones listed above is an experience you'll never forget.